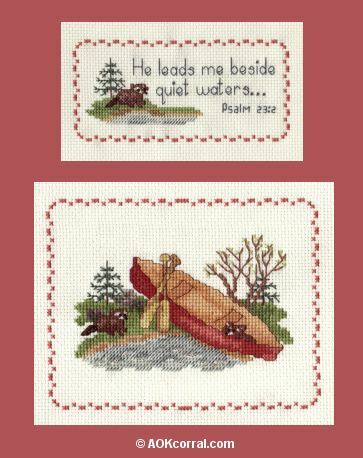 Stitch our raccoon w/scripture pattern or lakeside canoe & raccoons. If you like to cross stitch, the wilderness, and enjoy being inspired by Bible verses, these patterns are for you. The Easy Print Version contains both the small Raccoon w/Scripture and the larger Lakeside Canoe & Raccoons Pattern. *This version includes the small Raccoon w/Scripture and the larger Lakeside Canoe & Raccoons.